What’s this? A blog post from me? I have been working my bunsies off, y’all, so sorry for slacking on the blogging. I’m sitting in my hotel room in Schaumburg, IL right now, tomorrow is set-up day for Stitches Midwest, which is the only reason I actually have spare time for a thought! By the way, I’ll be in the Craftsy booth throughout the weekend so please come say hi if you are here! 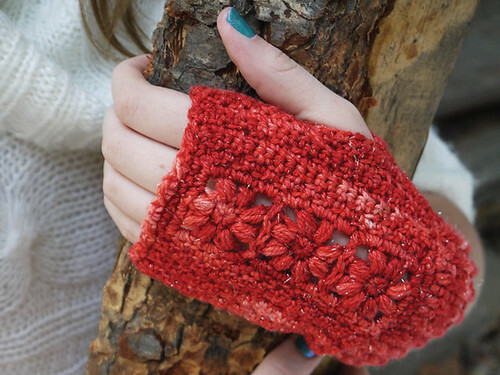 This week, Tangled published their Nearly Fall issue and it in are my Flora Mitts. 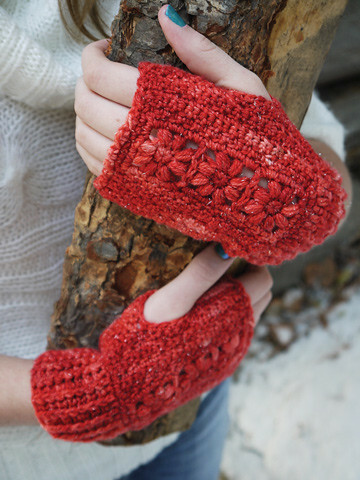 I designed these mitts quite a while ago using the lovely Tittering of Magpies sock yarn from Alisha Goes Around, a dyer in New Braunfels, TX (just a hop skip away from where I used to live). I’m currently writing a pattern for a shrug with the same yarn, because I can’t help myself. 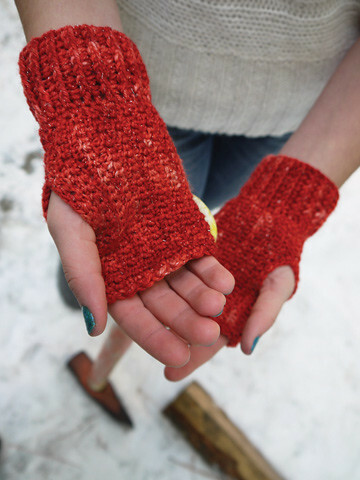 The mitts are worked modularly–join as-you-go motifs form the central panel, and from there you work an allover texture stitch pattern, post stitch ribbing and a decorative top edge. They’re feminine and lacy but still very practical. The pattern is available through the lovely ladies at Tangled for $5. You can fave it on Ravelry by clicking here. I know it seems early, but personally I am dreaming of fall. Whoever told me that a swamp cooler was almost as good as an air conditioner was full of lies! Hope all is well in your world. Thanks to all of you who have emailed and commented to ask how we’re settling in, it makes us feel loved. Oh no you didn't! So, so cute. I'm never going to catch up.